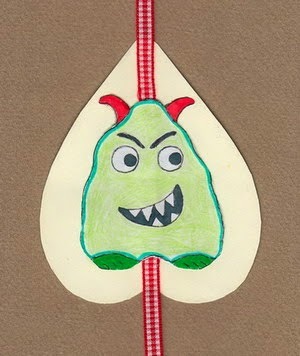 Μaria Chatzi shares with us step-by-step instructions to create the jealousy germ bookmark, inspired by her fairy-tale! 2. After that, turn it on its back side and glue the checkered ribbon on it, vertically and centered. Both free sides of the ribbon should have approximately the same length. 3. To continue, turn it over again, on its front side. Draw an upside down heart shape all around it, in a distance of 0.6 inches from the germ of jealousy, as shown in picture Nr. 2. 4. Take your scissors and cut around the heart shape. 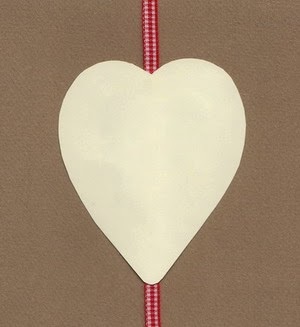 The back side of your bookmark is this heart, that keeps jealousy away (see picture Nr. 3). You can draw or paint on it or decorate it with a collage (with colorful cutouts from old magazines). Your bookmark is ready. Place it in one of the books you take to school. 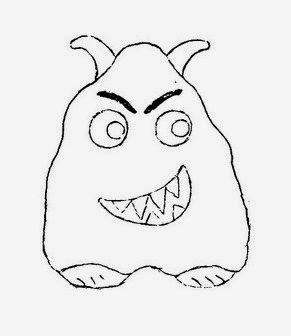 If you feel the jealousy germ is trying to make you start a fight with your friends, do not allow it to. Turn your bookmark to its back side to remember the lovely moments you’ve shared with them. Maria Chatzi has graduated from the department of English Language and Literature of Aristotle University of Thessaloniki and has worked as a teacher of English. She is also a self-taught artist, she designs crafts for kids and adults, jewelry and other home décor items. She’s been a creativity enthusiast for over fifteen years now. She writes articles and activities on Creative Writing and Craft projects, offline and online. She spends a great deal of her time volunteering for public libraries in Thessaloniki, where she offers creative courses, mainly creative writing and crafts for kids. She also teaches jewelry making and various techniques for crafting with recycled materials. Both her contribution to public libraries and the publication of this mini ebook, with a Creative Commons License, are an offer of free services for the common good in the local community and an effort to promote Creativity.